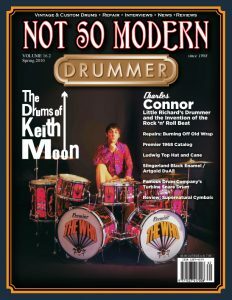 A comprehensive guide of all Compact and Portable drum kits on the market, (that we have found). This includes the explicitly portable, regardless of sizes, and all kits featuring a bass drum no larger than 16″. Cocktail kits are covered in a separate article. 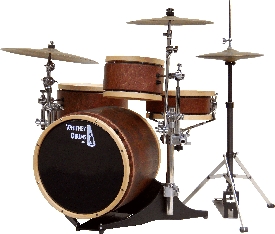 Also see our Compact Portable Drum Kits Video Sound Samples page for an idea of how these drum kits sound. Billy Blast makes a range of Mini Kits made from Keller maple shells. The kit pictured features a 16X16 Bass drum, 10X6 and 14X6 toms and a 12X6 snare drum, all in shell blue pearl. The shell pack sells for US$450. 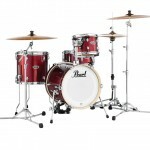 Billy blast offers a range of compact and portable kits in a plethora of finishes ranging from traditional to unique. 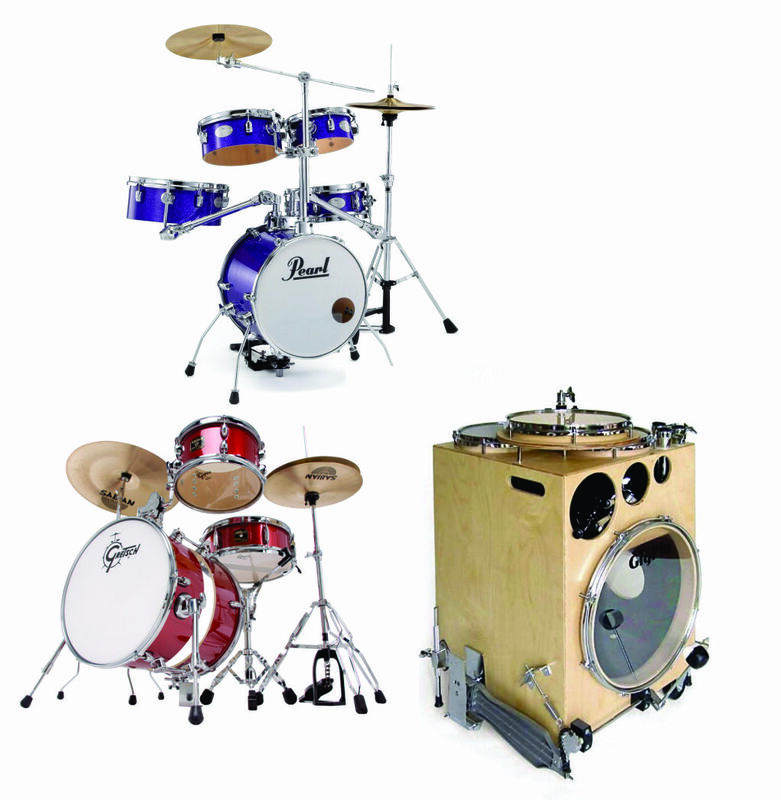 Mini Kits are made from re-purposed drum shells, remodelled to better suit their new application. 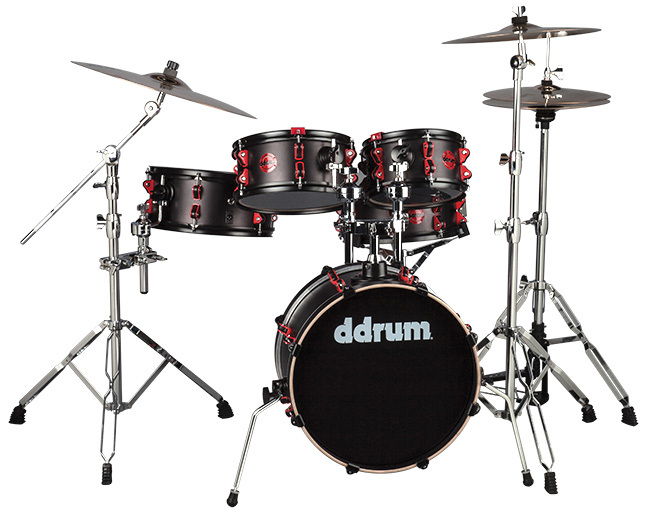 Built lightweight for ease of transporting and optimization of overall drum resonance. Small Package…. Big Sound! 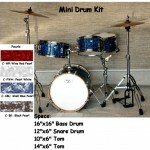 Similar to the Mini Kit, the Cafe Kit maintains the allegiance to smaller drum sizes. 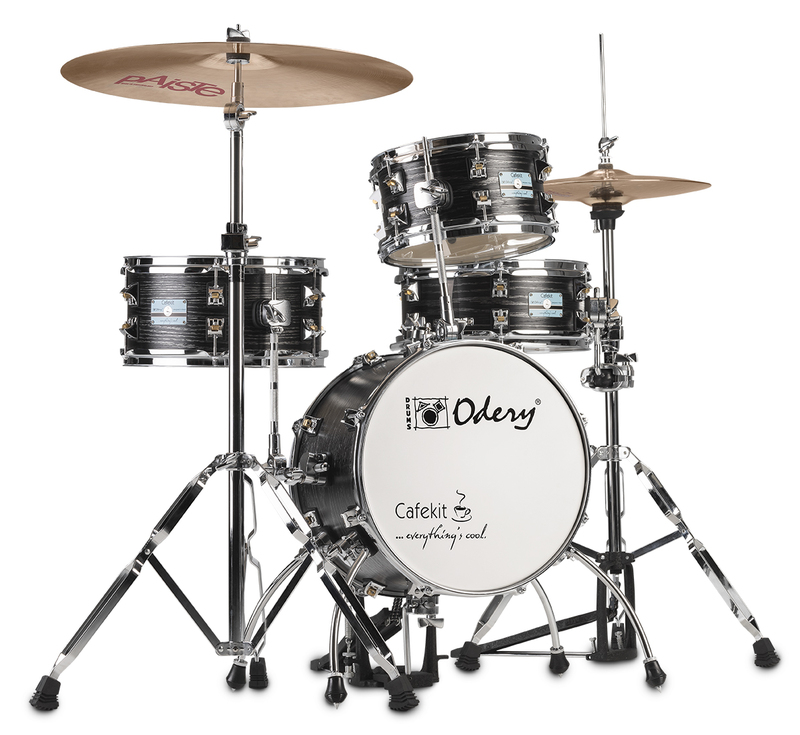 At the foundation of the Cafe Kit stands the Ø14″ bass drum. Combo Kits – Setups for the minimalist utilizing the less is more aesthetic. 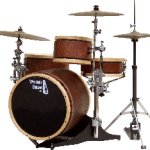 DRUM MONGER’S kits are available in a variety, of veneer, natural and wrap finishes and are priced in the $300 range for a 3-piece kit. 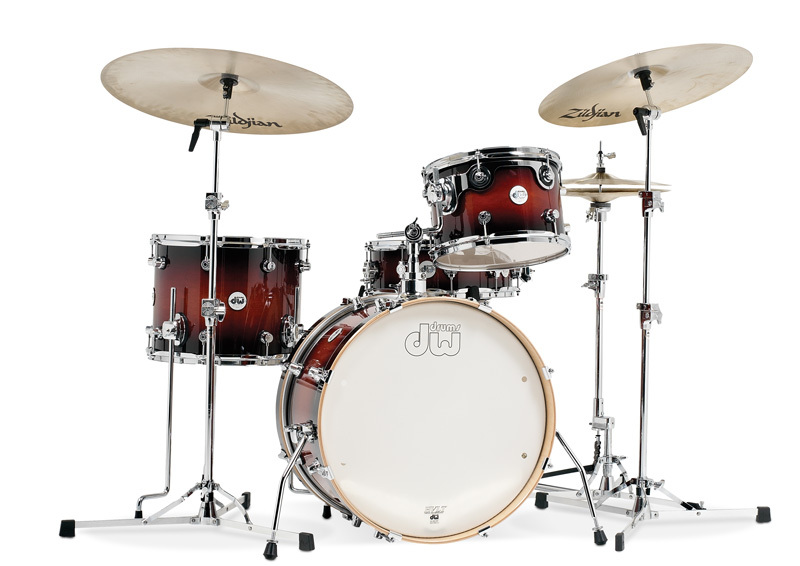 Originally designed as a high-end drum set for children, the Mini-Pro became a much talked about kit among DW artists. It’s quality construction and scaled-down sizes sounded astonishingly big and it was simply fun to play. Avaliable in two configurations with two finish options. 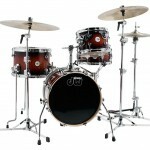 The kit is offered in two finishes: Black Satin and a gloss lacquer Tobacco Burst. 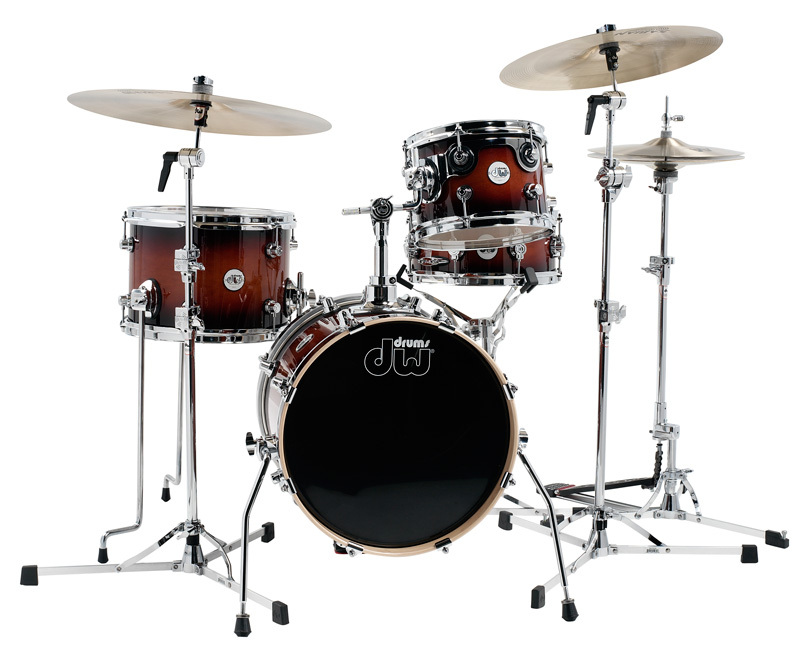 As is the case with all Design Series® drums, the shells consist solely of North American maple. Low-mass spurs and a ratchet bass drum mount also come standard. The Club Kit was the first series CANOPUS introduced, and later it became the foundation of the current R.F.M. series. 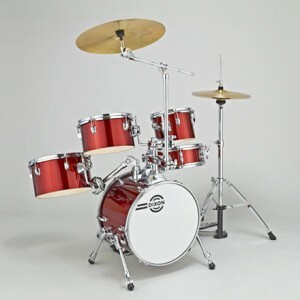 The Club Kit is characterized by the 15 inch bass drum, which is the smallest size that allows the use of a bass drum beater. 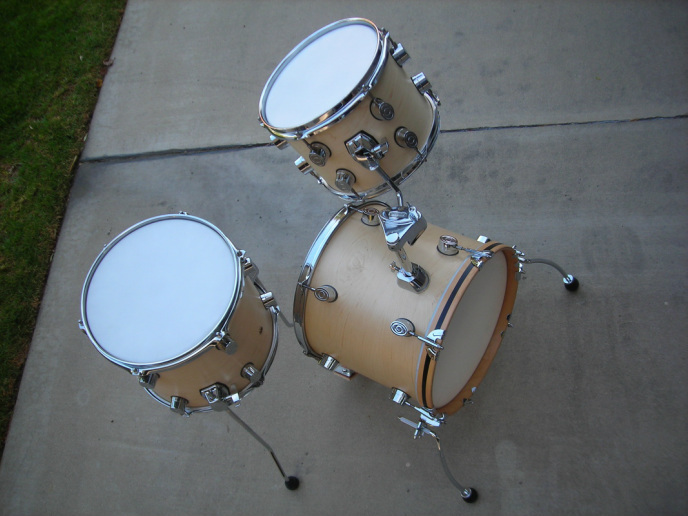 These are maple shells and the drum size dimensions are: 12″ x 15″ bass drum; 7″ x 10″ tom-tom; 12″ x 13″ floor tom. 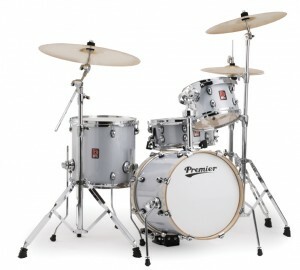 Street Price is a hefty US$2,120 without snare drum. Both innovative, definitely compact and portable, the GigPig defies tradition in many ways. The cabinet, made of birch is available in three colours and is divided into separate resonator chambers for each “drum”. 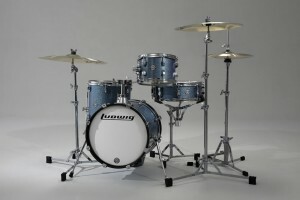 The base model has a 6″ and 8″ tom with an 8″ snare as deep as the cabinet. The 10″ added “floor tom” pictured is an additional add on to the US$760 (+ shipping from Sweden) price tag. Setup and teardown time should be untouchable due to the unorthodox design. The Gigpig is now back in stock and shipping. An innovative feature of this kit is the expandable bass drum which according to Gretsch delivers a “robust feel with a focused punch” when “opened up” and a ““jazzy” sound with those familiar satisfying overtones” when closed. Available in red or silver sparkle wrap over mahogany. The Bass is 16X12-14.5, Toms 10X6, 13X11 and the snare is 13X5. A cymbal arm is included in addition to the necessary mounting hardware and true to Gretsch tradition, bearing edges are 30 degrees. List price is US$925.99 and “street” price hovers around US$600. 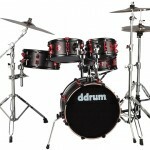 One of the most popular and certainly most recognized compact portable drum kits in the 16″ bass category. 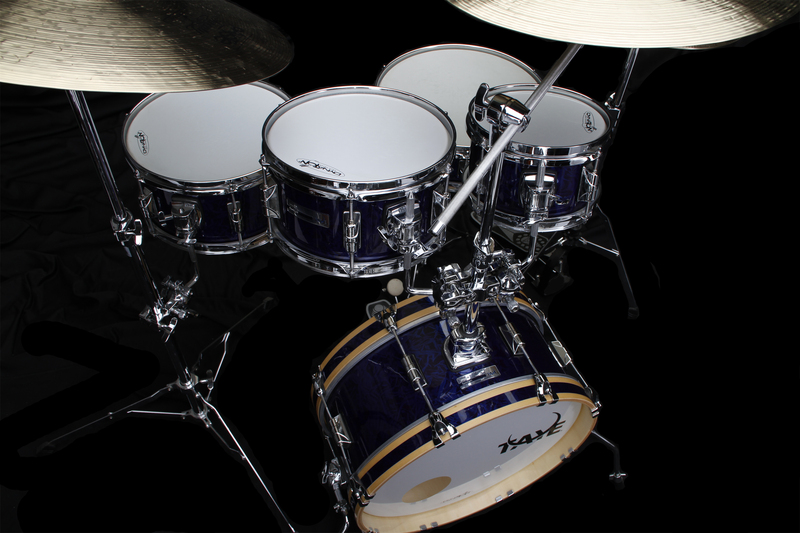 Boasting a 16X14 Bass, 7X10 and 13X13 Toms and a full size 14X5 steel snare.Shells are seven ply “hardwood” with 45 degree bearing edges. Comes in blue, white or black sparkle wrap. Velvet bags for transporting and storing are included which also double as “muffling” devices for smaller venues. With a MSRP of US$619 and a street price hovering around US$400, the aggressive price-point certainly contributes to it’s popularity. A well thought through design, coupled with unbeatable value and tone that rivals both larger and more expensive kits, add up to a rare and elusive Five-Star-Rating. With a Street Price of only US$399 including hardware the CafeKit is a serious contender. Bass Drum: 14″ Diameter X 11″ Deep, Rack Tom: 10″ Diameter X 5.5″ Deep, Floor Tom: 12″ Diameter X 6″ Deep, Snare Drum: 12″ Diameter X 5″ Deep. Peal enters the hot Jungle-bop kit segment with the well designed and thought through Midtown. At a list price of US $399 the Midtown is bound to be a frontrunning contender in the category. The Midtown Kit’s compact size makes it ideal for tight spaces, and quickly breaks down into an optional two gig bag set for quick transport. 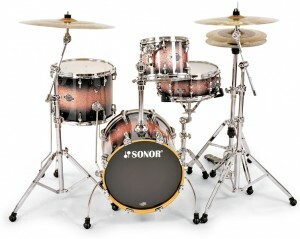 Included elevated 16×14 bass drum, 10×7 tom, 13×12 floor tom, and 13×5.5 snare create a unique sonic statement. An interesting variant on the RT is the Pod version with the snare, toms and one cymbal all mounted from the bass drum. Offered as a Limited Edition in 2015, it’s available in Black, white, or wine red wrap over mahogany shells with black metal parts. 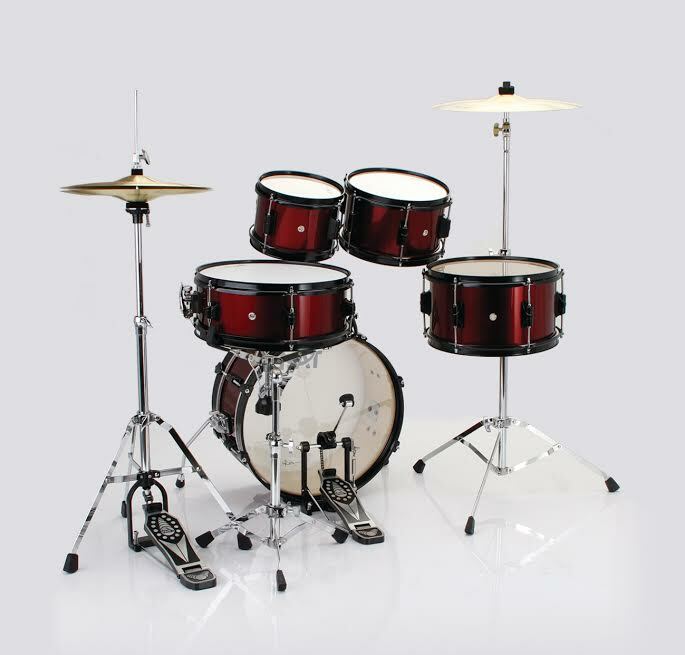 Like it’s larger sibling it comes with mesh heads, plastic cymbals and cymbal mufflers as well as a complete hardware kit with cymbals. Sizes are 16X13 Bass, 8X3.5, 10X4 and 12X5 Single headed toms and a 12X5 Snare. The footprint is about as small as it gets in a somewhat traditional style drum kit. We hope to be able to provide an in depth review of the Pod in the near future. MSRP is US$832 with a street price of around US$500 offering another great value-pick from Pearl. Not easy to find in North America, but a great value if you can locate someone that sells it. The Microbop features six-ply, 100% birch shells with a choice of four sparkle wrap finishes. Sizes are 16X14 Bass, 10X7 and 13X13 Toms and a matching 13X5.5 snare. Last I saw it in the US it was offered at US$360. (Shellpack with mounting hardware) This kit gets consistently positive reviews. We will attempt to dig deeper into availability in North America. Stay tuned for more information. MSRP is unknown at this time. 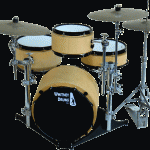 A four piece shell pack with 6″ deep Keller maple shells. Available in three natural stain finishes, the pictured Ebony, Natural Maple and Burnt Orange. 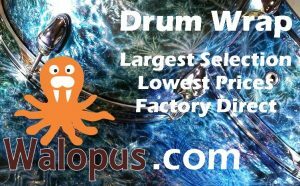 Sizes are a 6″ x 22″ Skinny Bass Drum (also available in a 12″ x 18″ bass drum or a 8″ x 20″), 6″ x 12″ cymbal stand mounted ride tom, 6″ x 16″ cymbal stand mounted floor tom and a 6″ x 14″ snare drum. With a 14X12 Bass drum, 8X8 and 13X10 Toms and a 12X5 steel snare, Sonor’s Martini kit is possibly the smallest and most portable of the traditional drum kits featured here. 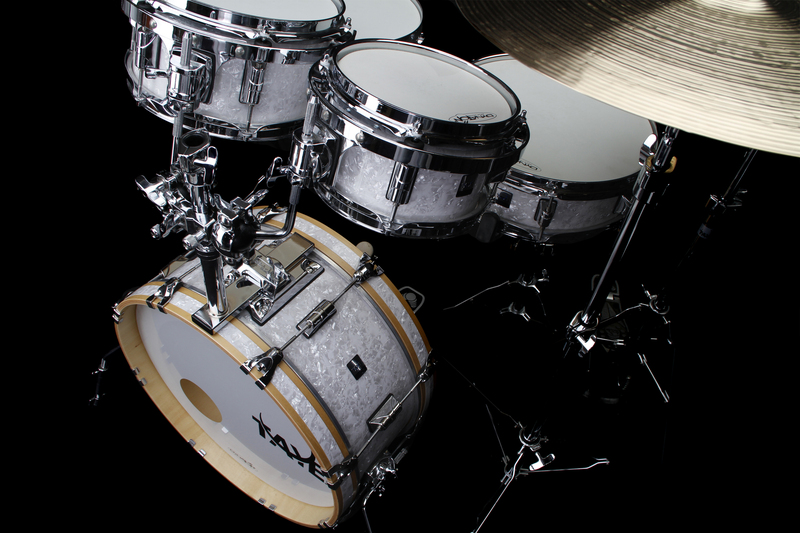 The snare has received accolades in reviews we’ve seen. 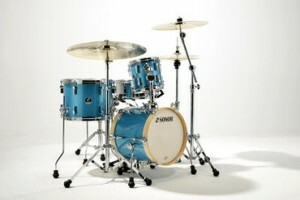 Nine-ply poplar shells are available in one finish only, the pictured “Turquois Galaxy Sparkle”. Nice touches include the wood hoops on the little bass drum and the “tune-safe” lugs. 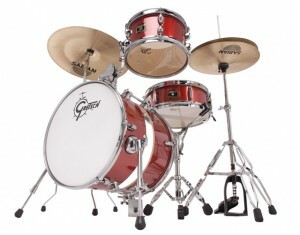 The price tag is in line with the size of the kit, with MSRP of US$612 and a street price around US$380. 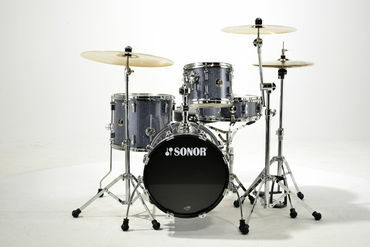 Sonor!, If you are reading this, we would love the opportunity to review the Martini over a couple of Martinis. See our In Depth Article here! 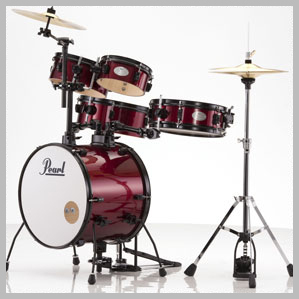 Like it’s smaller sibling the Safari has nine-ply poplar shells with a choice of red or black “galaxy” sparkle wrap. It also shares the same “Tune-safe” lugs. 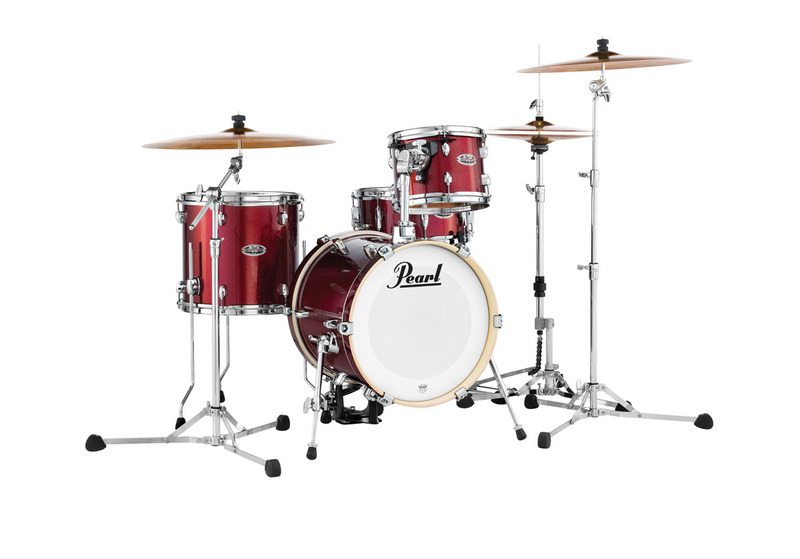 With MSRP of US$660 and street prices hovering around US$390 for the shell pack with necessary mounting hardware, either one of these kits are better than fair priced. While not confirmed it seems a difference from the smaller Martini is that the Safari comes with steel hoops. Sizes are 16X16 Bass, 10X8 and 14X12 Toms and a full size, matching 14X5 Snare. Sonor’s High end contribution to this category comes as a three-piece shell pack with a MSRP of US$1,337 and a street price of US$799. 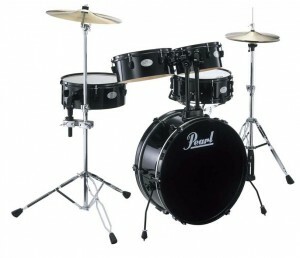 The price includes a 16X16 Bass drum, 10X8 Mounted tom and a 14X12 Floor tom. 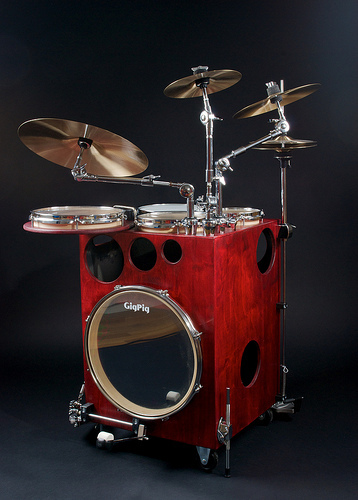 Shells are seven-ply Canadian Maple eh?, with no less than nine impressive lacquer finishes. As is expected in this price range, the appointments are top-notch and the feature list barely fits on Sonor’s own website. A matching snare drum is available as an extra. 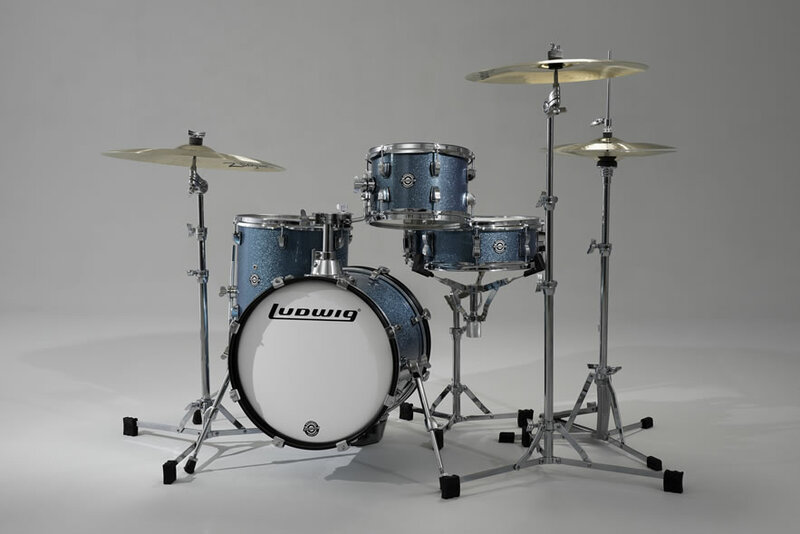 With a MSRP of US$1,299 and a street price of just under US$800 for the five-piece shell pack, the Taye GoKit seems a bit on the pricey side at first glance. However, after a look at the extensive list of features it’s clear that the price is a fair reflection of the level of quality, finish, appointments and workmanship. 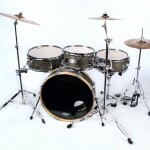 Available as a three or four piece shell pack with a 18X7.5 Bass drum, 14X11 Floor tom and a 13X4 Snare. 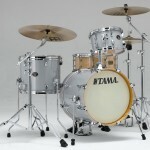 The options for rack toms are 14X7, 12X6, 10X5.5 and 8X5 depending on configuration. 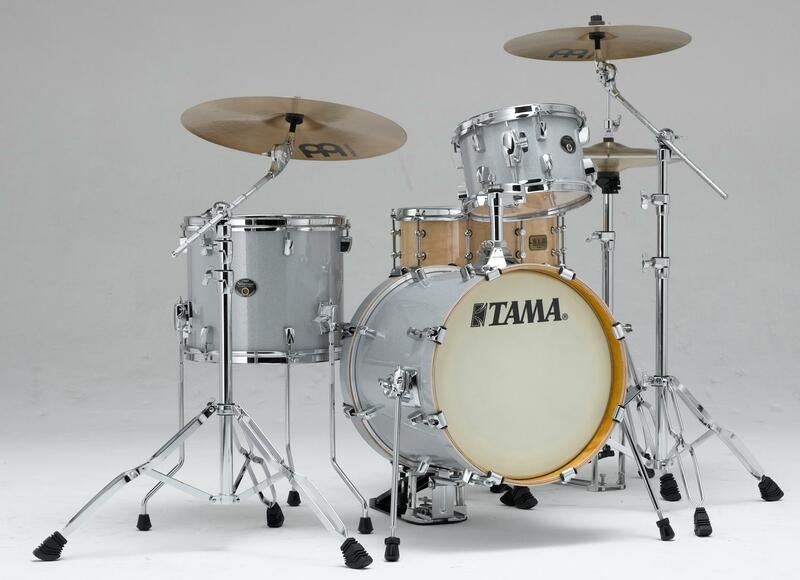 All toms are two-sided and the entire kit is available in five stunning lacquer or wrap finishes. Shells are eight-ply basswood/birch. The feature list is too exhaustive to list here but can be viewed at the website below. If the Taye GoKit is cost prohibitive to you but the features and finish make you lust for it, check out the Spotlight version. 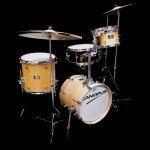 The feature list is almost as exhaustive, the shells are eight-ply poplar with a choice of six spectacular wrap covers. 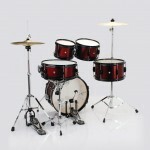 Sizes are 18X7 Bass drum, 8X5.5, 10X6 and 12X6.5 dual sided toms and a 13X5 matching snare drum. MSRP is a much more modest US$950 and street prices hover around $570. A little trickier to find in the US but a bit of searching will yield positive results. 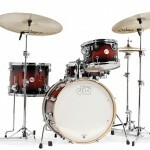 With similar specs to the Spotlight Special Edition, Galactic Audition is another choice of portable drum kit from Taye. 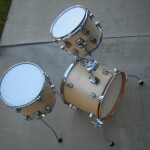 Sizes are 18X7 Bass drum, 8X5.5, 10X6 and 12X6.5 dual sided toms and a 13X5 matching snare drum. MSRP is around US$950 and street prices hover around $550. The Galactic series features all black metal parts and includes hardware. Available in three wrap finishes. 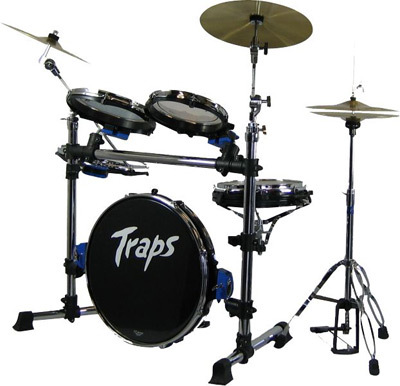 Portability takes a front seat with tradition riding shotgun in this slightly unorthodox kit from Traps Drums. These drums don’t even have shells! Instead the bearing edge is an integral part of an ABS-molded “hoop” that also incorporates the “lugs”. 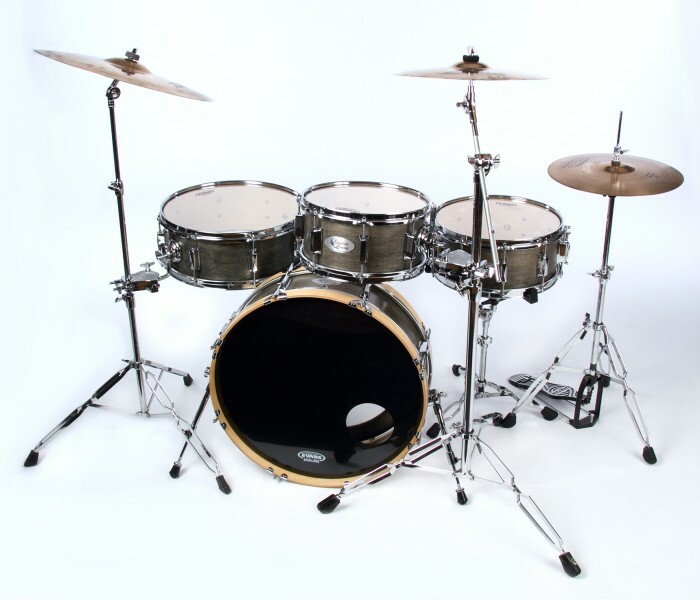 The 20″ Bass drum is dual headed, as is the 12″ snare, while the 10″, 12″ and 14″ Toms are single headed. 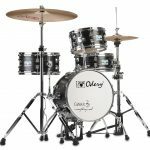 The shell pack, including Hi hat stand, bass pedal and the rack for mounting it all to, has a MSRP of US$995 and street price is roughly US$600. Sizes: 16 x 18 bass, 5 x 13 snare, 7 x 10 and 9 x 14 toms, Quickstand™ folding stand and hardware to mount all drums and your two cymbals, Blankets for nested drums, Padded gig bag for drums. At $2,311 this is a kit for the gourmet of drummers. They do host a plethora of interesting solutions though and pack down into a neat nested little pile. Similar in concept and portability as the Nesting Penguin above but smaller size drums for enhanced portability and more compact footprint. Sizes: 15 x 16 bass, 5×13 snare, 6.5 x 10 tom, 8 x 13 tom. 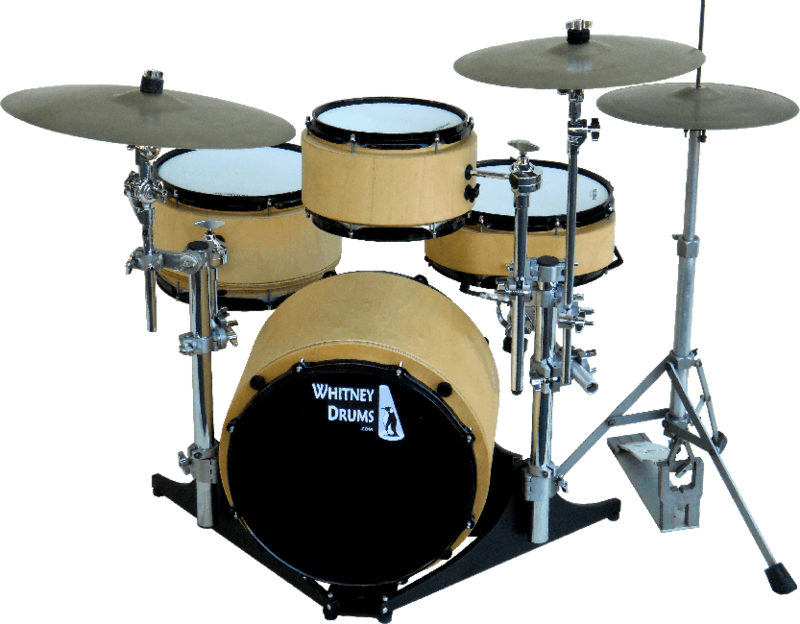 The price of $2,100 also includes; Quickstand™ folding stand and hardware to mount all drums and your two cymbals, Blankets for nested drums, Padded gig bag for drums.